Feeling DAO FOMO? Join the DAO ecosystem. From the start, the DAO stack has been designed to facilitate the emergence of a scalable DAO ecosystem. Our efforts began nine months ago with the Genesis Alpha experiment, the first DAO powered by DAOstack. 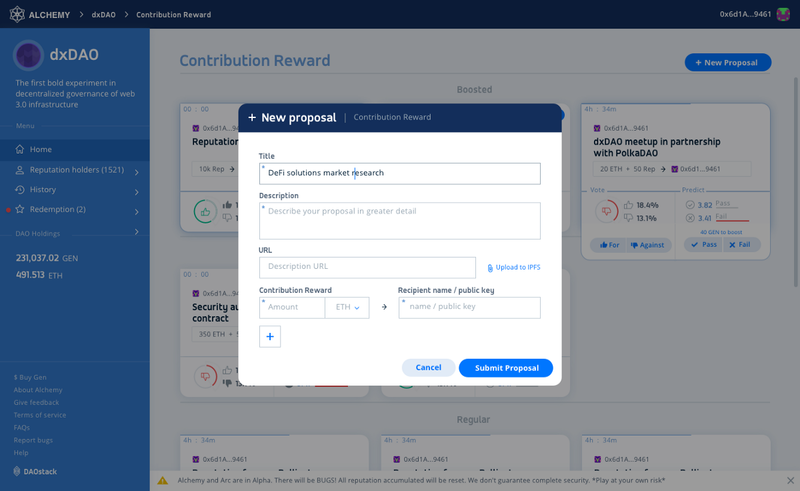 Genesis Alpha has been hugely successful, producing hundreds of proposals, uncovering a critical vulnerability within the Arc Platform, and growing a community of Genesis Pollinators who have provided key feedback guiding the development of the next version of Alchemy, aka Alchemy Earth. A sneak preview of Earth’s UI. 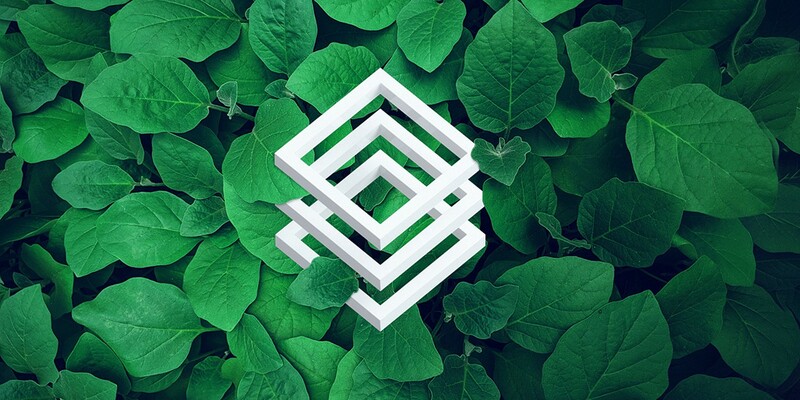 With Earth’s launch, it’s now time to move forward with planting the first seeds of the DAO ecosystem. 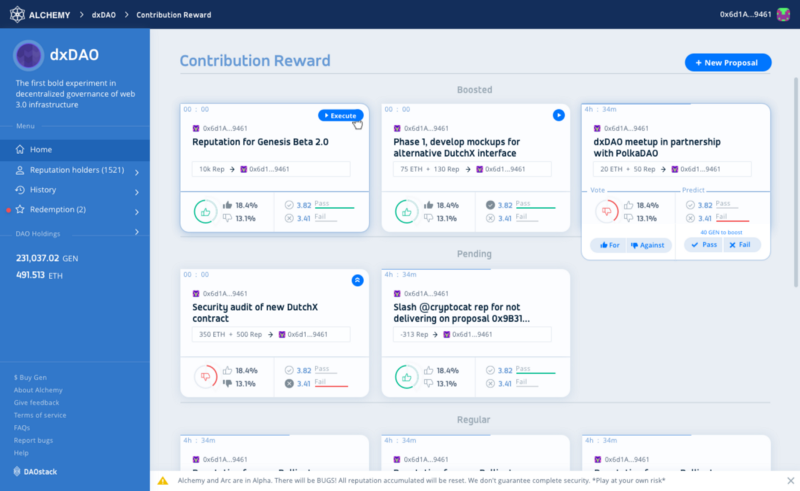 We hope that many seeds will mature into successful prototypes, establishing governance design patterns new DAOs can leverage for their own bootstrapping. 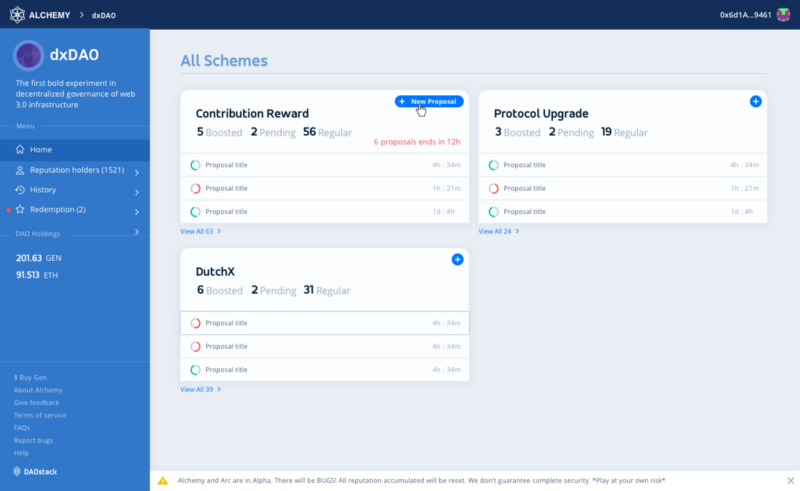 We’re expecting that certain DAOs, such as the dxDAO, will govern “DAO primitives” — that is, products and tools such as the DutchX exchange protocol that can be used by the whole DAO ecosystem. Finally, just as startups do, we assume a high percentage of DAOs will fail. They will provide important lessons for the ecosystem, and improve the antifragility of future DAO generations. All of the following pilot launch dates are subject to change. 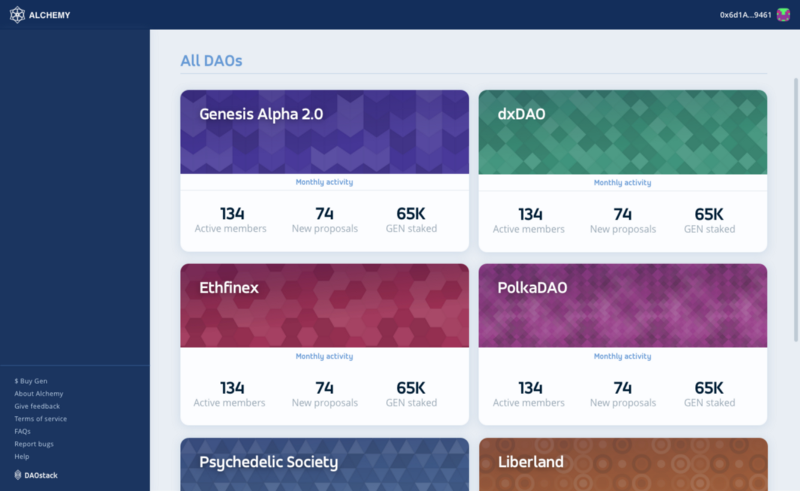 Launched June 2018, the Genesis Alpha was the first DAO powered by DAOstack. 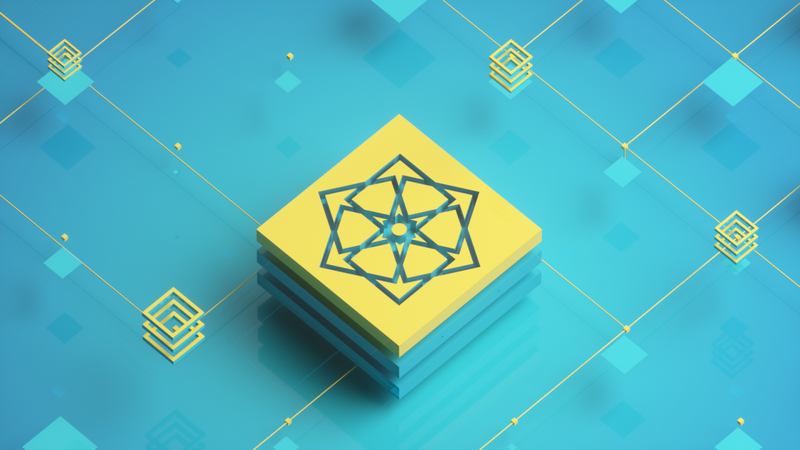 Genesis Beta is the second step of a three step plan to eventually transition Genesis to being the “Coordinator DAO” of the DAOstack ecosystem. According to the DAOstack team’s recent statement, Genesis would have additional responsibilities as coordinator, such as management of 40m unminted GEN. In this sense, it could be a decentralized institution that distributes ecosystemic grants loosely analogous to the Ethereum Foundation. The dxDAO is designed to facilitate global, open trade. 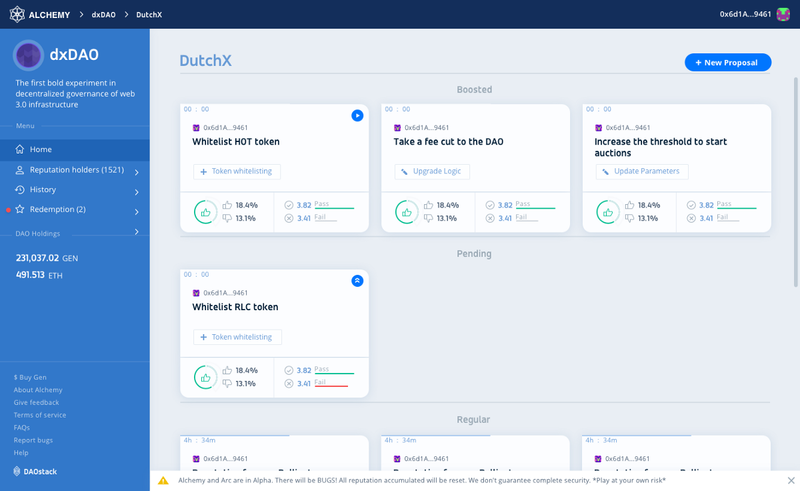 It will develop, deploy, and govern decentralized trading protocols and platforms, starting with the DutchX, an open trading protocol for ERC20 tokens using the Dutch auction mechanism. It is the first example of a DAO controlling a smart contract protocol. 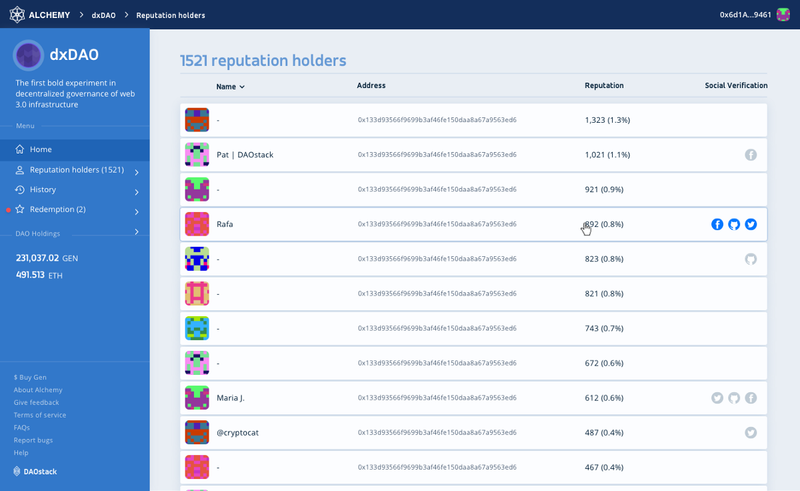 The dxDAO, as steward of the DutchX, has the potential to provide some initial DAO primitives for ecosystem, such as decentralized price feed oracles. It is expected to launch mid-May, after being delayed due to an effective bug bounty program. 2019 truly is the Year of the DAO. (1) The development team writ large. Our ten man tech team has continued to keep their heads down, regardless of market conditions, to rapidly iterate and make ready a production ready version of the DAO stack. Additionally, a number of open-source developers — such as the (currently) five person dOrg collective — are also throwing their weight behind building the DAO stack. (3) DAOs are the next logical step in the decentralization movement. Projects all over the space are progressing to the point where decentralized governance is becoming necessary. To capitalize on this energy, the team has presented our upcoming 2019 developments at many recent industry events, speaking directly to the individuals and project leaders who can benefit from using DAOstack. 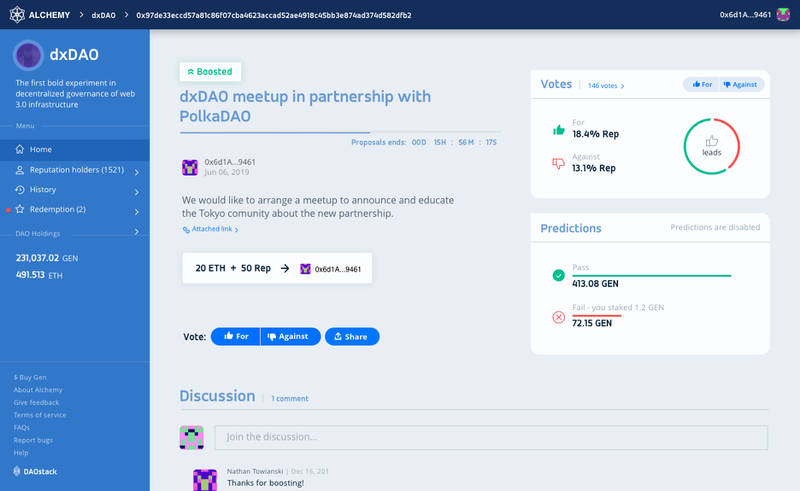 In response, we’ve experienced a flurry of interest from industry insiders who see the immediate value in scalable, decentralized governance, and we have every reason to believe more large-scale DAO experiments will be launched throughout the year. GEN was one of four tokens featured for launch on slow.trade, the new decentralized exchange built on top of the DutchX protocol featuring fair price mechanics. Our Founder Matan Field and Martin Köppelmann were featured on Epicenter together. We attended the DGOV Council and Aracon. We joined Gnosis for a one week joint team workshop at Full Node, Berlin. While at Full Node our advisor Martin Köppelmann introduced us to many interesting individuals within Berlin’s fast growing blockchain ecosystem. Our BizDev Lead Nave Rachman presented Alchemy at Nature 2.0. Ecosystem Lead Natalia Scherer was featured on the KGNU podcast. Matan Field presented Holographic Consensus and the Living DAO Ecosystem at EthCC, during which the team ran a booth. Interested in creating a DAO? Want to join the DAO ecosystem? Fill out this form. Join our community on Discord and follow DAOstack on Medium or any of the other channels you’ll find on our website. Join the DAOtalk forum to discuss all things decentralized governance. 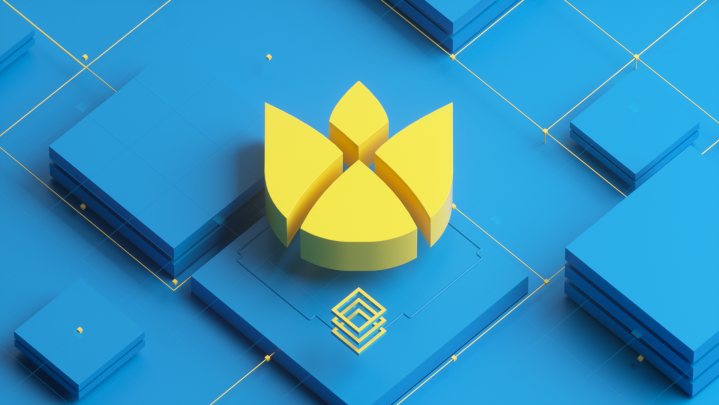 Interested in joining the Pollinators, our official early-adopter community, and participating in the Genesis DAO? Read our onboarding guide. Developer? 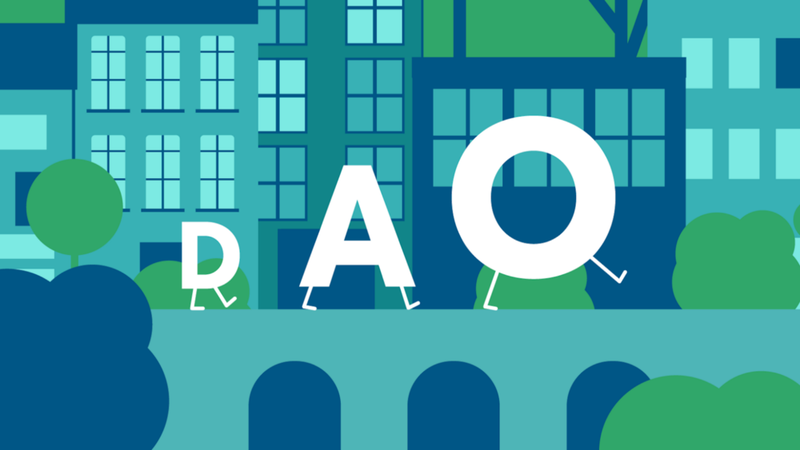 Check out the DAOstack Github, or jump into the stack with our friendly Hacker’s Kit.